Following the signing of Memorandum of Understanding (MoU) between Universiti Teknologi Malaysia (UTM) and Universitas Sebelas Maret Surakarta, Indonesia (UNS) in September 2016, Department of Urban and Regional Planning, Faculty of Built Environment and Surveying, Universiti Teknologi Malaysia has implemented some activities in collaboration with Urban and Regional Planning Program, Faculty of Engineering, Universitas Sebelas Maret Surakarta. 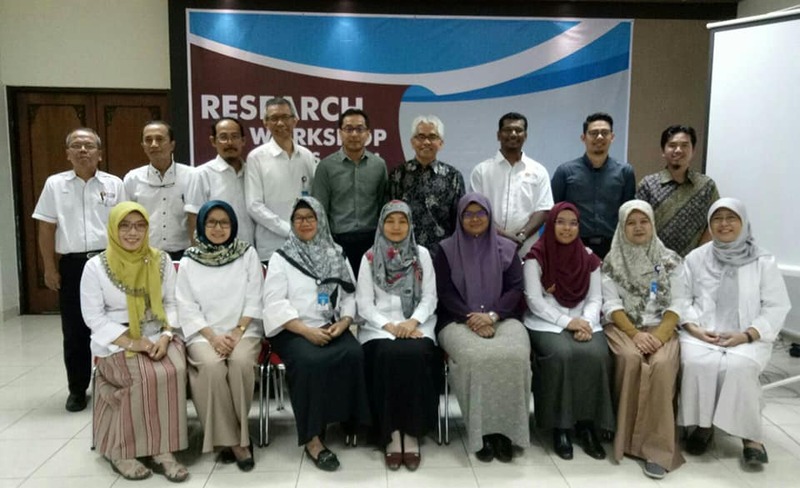 Workshop on joint publication between UTM researchers and UNS researchers were organized on 16th -18th July 2018 at UNS Surakarta, Indonesia. Seven (7) UTM participants (researchers/lecturers) and 23 UNS researchers/lecturers and students attended the workshop. The workshop has been able to wrap-up twenty-eight (28) full papers which is expected to be submitted to Q1 or Q2 Journals (11 papers), Q3 and Q4 Journals (9 papers), any Scopus-indexed Journals (5 papers), Book/Book Chapters (2 papers), and Conference (1 paper). The time-frame for submission is August 2018 to November 2019. All the papers were jointly authored by UTM and UNS academic staff/lecturer/researcher.